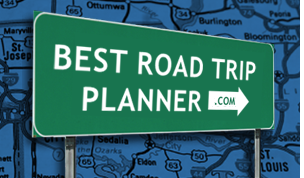 For an unforgettable journey and affordable experiences that will help you create lifelong memories, plan to travel across South Dakota (SD) by car. Home to Mount Rushmore and landmarks of Native American culture, South Dakota offers stunning scenic drives that take you on a historic adventure filled with beautiful landscapes and abundant wildlife. Be sure to explore Badlands Loop Scenic Byway, Native American Scenic Byway, and Peter Norbeck Scenic Byway. Along the way you will be able to view Mount Rushmore; visit old gold mining towns; see the historic site of Wounded Knee; enjoy Buffalos and other wildlife in the rolling hills of the Custer State Park; discover two Sioux reservations and explore the Akta Lakota Museum that preserves and promotes Sioux culture. Attractions in South Dakota are endless. Enjoy your road trip!